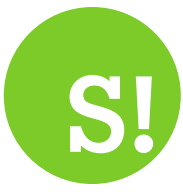 By Maggie Barry on 2018-10-20 - Experienced car journalist. 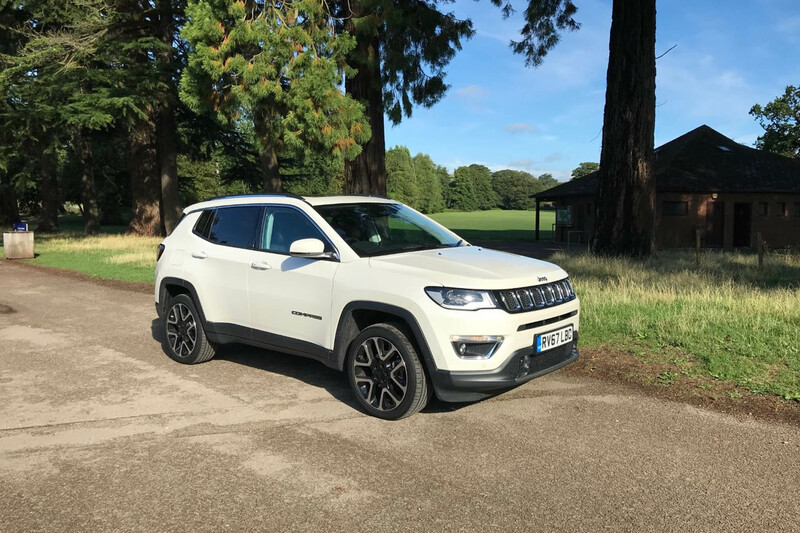 I HAVE a soft spot for the Jeep Compass - it was one of the first cars I was asked to evaluate - and I loved it. 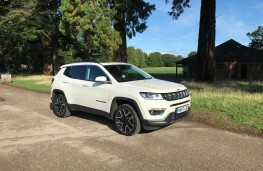 Sadly not everyone else agreed and Jeep stopped making the Compass for a while. 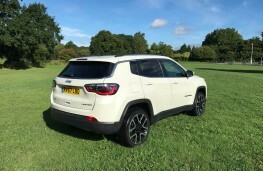 Now, however, it's back on the forecourts tougher, more elegant inside and with Jeep's full panoply of off-roading technology. 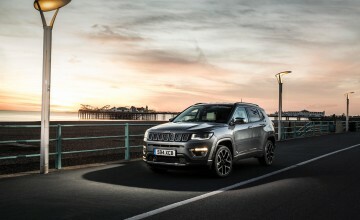 It is just as good looking as before with Jeep's signature seven slot grille, big alloys, silver roof rails and front foglights. 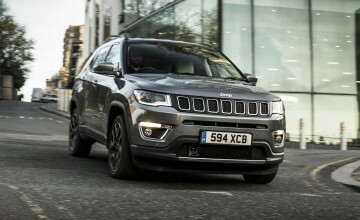 It looks the part - bold and rugged - and it's worth remembering that this car has pioneering heritage in its DNA. 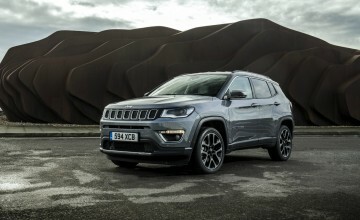 It is after all, a successor to the legendary Willys Jeep. 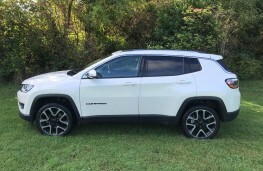 What I remembered about my first encounter with the Compass was how amazingly comfortable I found the seats and today's version has retained that luxurious sense of sinking into the seats when you climb in. They are heated and leather - a joy - and the premium feel continues when you look around and see the high gloss black finish Jeep have put into this car. 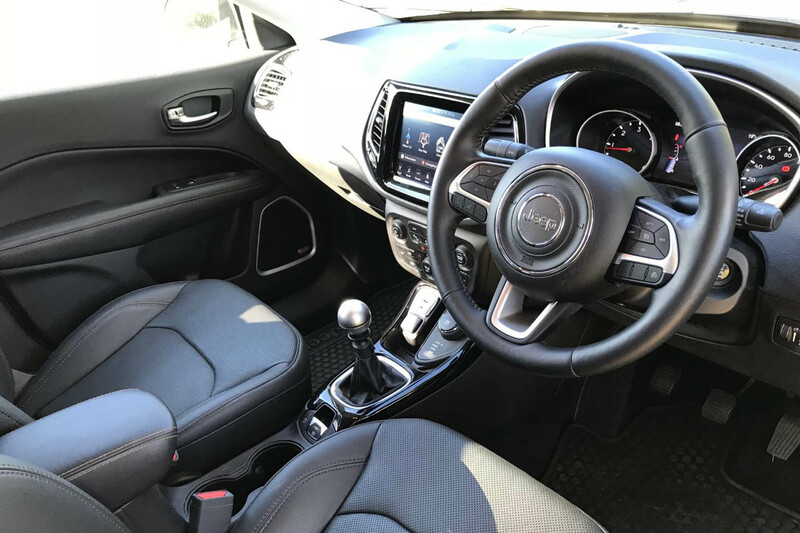 The 8.4-inch colour touchscreen is surrounded by piano black gloss that is echoed as it comes down the centre console to the air con and heating controls. 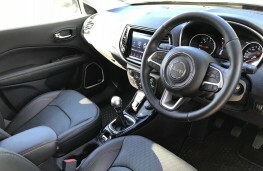 The touchscreen houses the sat nav, DAB radio and Bluetooth and the Compass comes usefully equipped with aux-in connectivity, a USB outlet as well as a 12-volt socket. Next to that is the evidence that the Compass is more than just a pretty face. This is the command dial for driving modes auto mode, the default, but then you can also move it to snow, sand, mud and manual for all eventualities. It is what Jeep calls its 4WD Active Drive with Selec-terrain. The Compass is a true off-roader and more's the pity that we didn't have the conditions in which to test its mettle but having driven some of its stablemates, if it's only half as good, you'll be impressed. On normal roads though, it is a lovely drive. 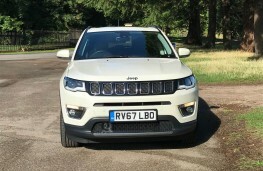 I had the 2.0-litre MultiJet diesel with 140hp and it smoothed its way along the roads, taking care of corners and sitting good and true on the Tarmac. 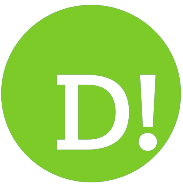 The high driving position gives you extra confidence and the steering is very responsive. 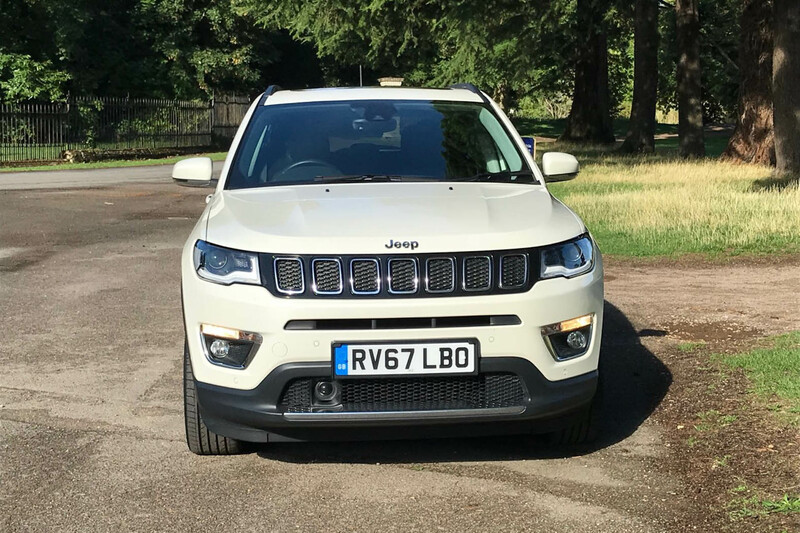 One of the criticisms of Jeep has been its poor mileage figures but even that has been taken care of in this car which returns 54.3mpg. 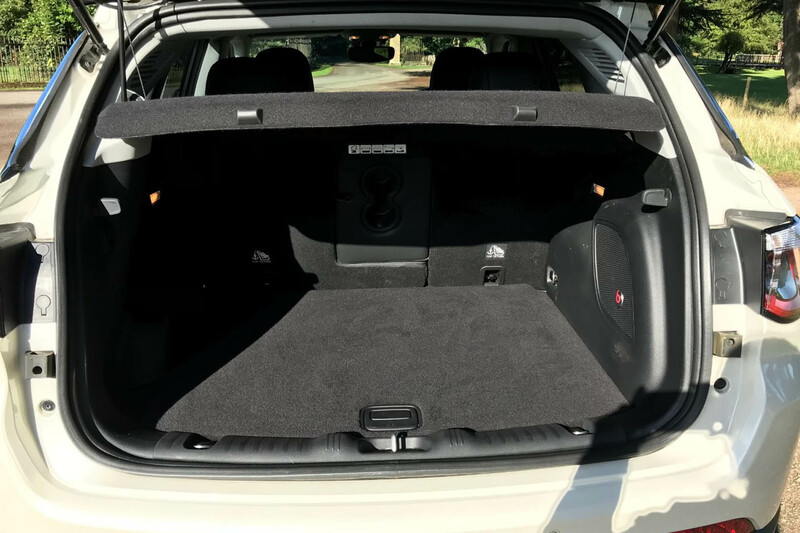 This version in the Limited trim offers a reversing camera and lots of sensors, forward collision warning, lane departure warning, blind spot and cross path detection as well as park assist for both perpendicular and parallel parking. There are dusk and rain sensors, a windscreen wiper de-icer - brilliant for snowy mornings - and some lovely ambient lighting. The storage space is good ands the boot is big with the rear seats doing that 60/40 split for extra room. 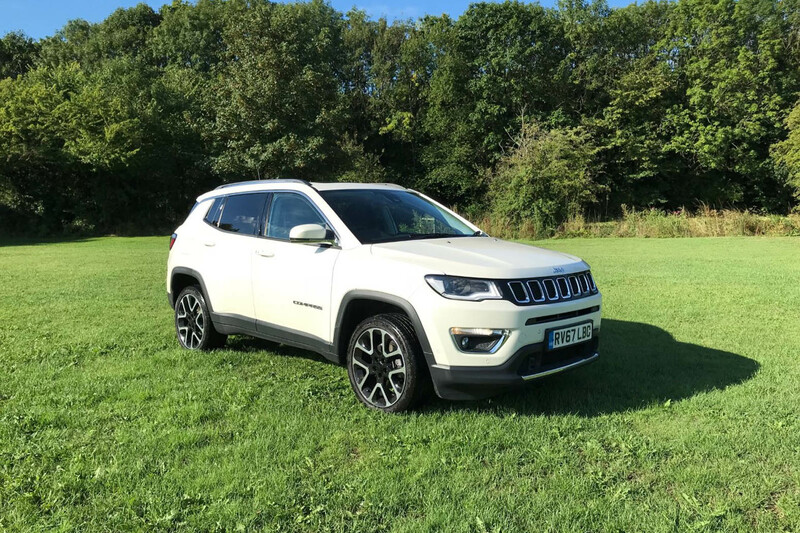 It is not the biggest SUV around so its very manoeuvrable but you get lots of systems and features you might expect on a larger car.